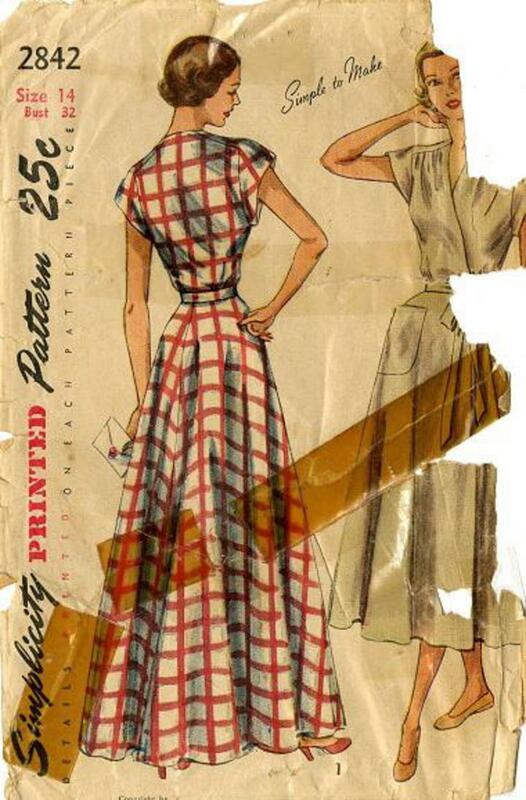 1949 Simplicity #2842 vintage sewing pattern, misses' 'simple to make' one-piece dress and housecoat. 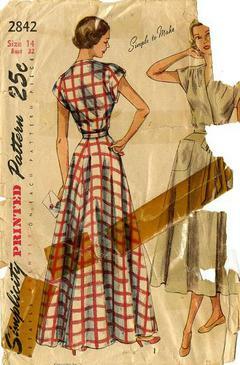 Flared skirt is cut in 4 pieces, two length options. Envelope is in poor condition, pattern pieces are in good condition.